Click on the Images for More Photos of Each Set! This is a collection statues and models from the Zelda franchise. These pieces are categorized here due to their large size and their lack of posability. My collection of figures will be listed from oldest to newest. 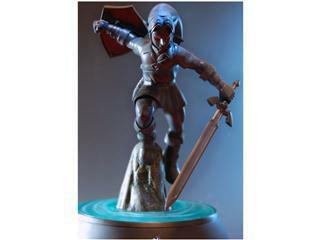 Other Info: Limited to 2500 pieces worldwide and stands 9 inches tall. 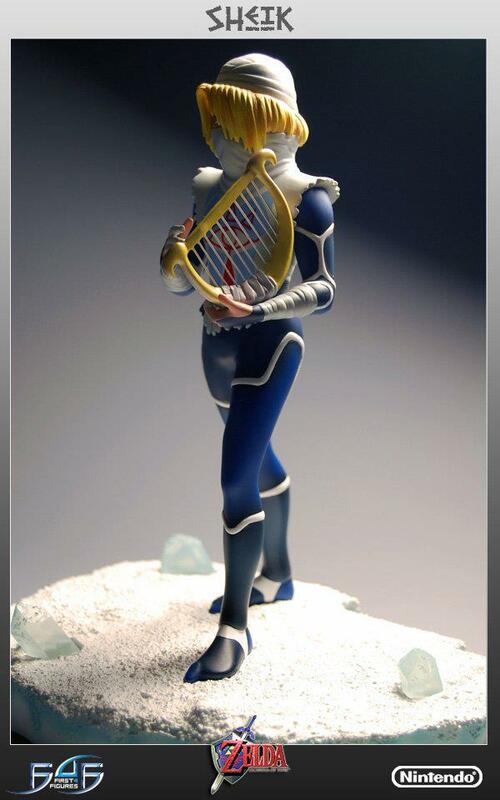 Other Info: Stands 14.5" tall and there were 2,500 pieces available worldwide. Other Info: "He measures approximately 12 inches tall and 9 inches wide including the base" and had 2,500 released world wide. You can read more about him on ﻿F4F's official link﻿. Other Info: There is also an exclusive edition with an exchangeable alternate facial expression, as seen in my Wish List! He measures in at a staggering 23 inches tall and is to be considered 1/4 scale. You can read more about him on F4F's official link. Other Info: Released at the same time as it's counterpart, Ganondorf. Despite First 4 Figures' notable prestige among collectors, its association with the release of the Twilight Princess duo went under the radar. This is largely due to the fact that their distributor, Dark Horse, was a prominent influence it their release. Many believed that the pair were also created by Dark Horse. It wasn't until after the duo was released that fans learned that F4F was the manufacturer of the set. 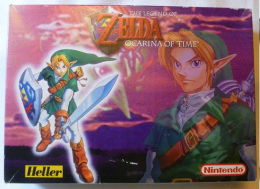 Other Info: Released at the same time as it's counterpart, Link (Twilight Princess). Since the statue was manufactured by First 4 Figures, the design of the Dark Horse Ganondorf statue is a smaller reproduction of F4F's 20" Ganondorf statue. Despite First 4 Figures' notable prestige among collectors, its association with the release of the Twilight Princess duo went under the radar. This is largely due to the fact that their distributor, Dark Horse, was a prominent influence it their release. Many believed that the pair were also created by Dark Horse. It wasn't until after the duo was released that fans learned that F4F was the manufacturer of the set. Other Info: Released at the same time as it's counterpart, Scervo. F4F Later released a ﻿Sandship Base for both of these figures to be displayed on that could be bought with the pair or purchased separately. Other Info: They measure in at a 26 inches by 22 inches by 25 inches and is currently the largest F4F Zelda statue to date. You can read more about them on F4F's official link. 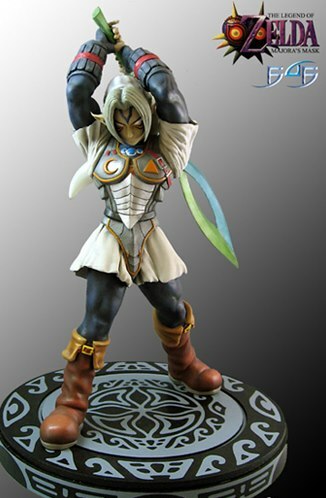 Other Info: There is also a pseudo-exclusive edition: Ganon's Puppet Zelda (with a slightly altered paint job the re-positioning of the arms as seen in my Wish List)! She measures in at a 17 inches tall and is to be considered 1/4 scale. You can read more about her on F4F's official link.